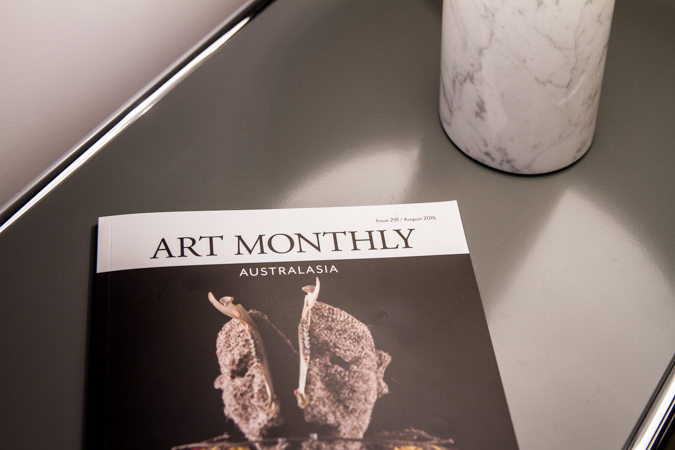 Based at the ANU School of Art in Canberra, Art Monthly Australasia is a non-profit publisher supported by the Australia Council for the Arts. Founded in 1987, it’s Australasia’s flagship visual arts publication—critically engaging with contemporary and historical practice across nine issues each year. Under current editor Michael Fitzgerald, the magazine continues to evolve, producing print and digital editions distributed nationally and internationally. As always, it remains dedicated to intelligent and lively analysis, commentary and review, placing Australian visual arts in an increasingly national, regional and international context and dialogue. In 2015, Art Monthly teamed up with MPavilion and the National Association for the Visual Arts (NAVA) to launch the MPavilion / Art Monthly Writing Award.